No matter where you go in Azerbaijan, you'll definitely come across bakery windows full of typical national pastries. Sweet, savory, tangy – whichever your pick, you're sure to find something exciting to tickle your taste buds. So, if you are a sweet tooth you won't be disappointed. Shekerbura, pakhlava, shor gogal, badambura and mutakka (pastry twists) are all eaten in Azerbaijan at Novruz spring holiday. Overall, there are more than 100 types of pastries and sweets in Azerbaijan. These fresh and fabulous desserts are perfect for spring festival. 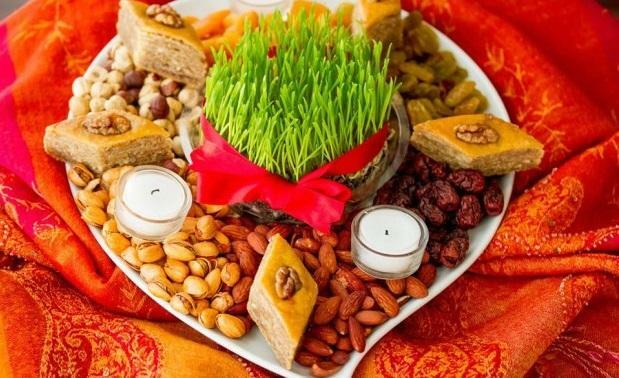 Shekerbura and pakhlava are irreplaceable at any Novruz gathering. Nothing quite satisfies the sweet tooth like the taste of shekerbura. The name "Shekerbura" comes from the Turkic word "Burulmush sheker" which is translated as "twisted sugar". The slightly crescent shape symbolizes the moon. This sweet pastry is filled with ground almonds, hazelnuts, or walnuts, and sugar. The dough is made of wheat flour, butter, milk, egg yolks, cream and yeast. The pattern on the dough is produced using traditional tweezers called maggash. Pakhlava is another festive dessert made for spring holiday. The pastry is made of paper-thin layers, chopped nuts and honey. The dough is cut into regular pieces, often in the forms of triangles, diamonds or rectangles. Each country's region has its own special recipe for pakhlava. Baku pakhlava can be made of peeled almonds or walnuts. It consists of 8-10 layers. Ganja pakhlava is characterized by its stuffing prepared of almond, sugar and cinnamon, baking on a copper tray over a campfire and consisting of 18 layers of pastry. Rishta pakhlava differs from the other types with its top layer which is covered with rishta. This pastry is made from wheat starch or rice flour. Guba pakhlava is distinguished by its color. The covering layer of Guba pakhlava is coated with a mixture of saffron and a red color additive. Guba pakhlava consists of approximately 50 rishta layers. Sheki pakhlava is made from rishta, stuffing (hazelnut, cardamom and coriander seeds) and syrop. These pakhlava recipes are everything you're searching for. Now it's time to brighten up your dinner table with another mouthwatering pastry. 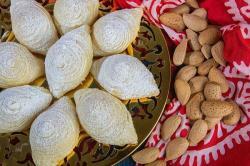 Shor Gogal is another delicious pastry in Azerbaijan, which is prepared for the spring holiday. This round bakery symbolizes the sun. Shor Gogal is made from layers of pastry flavored with turmeric and fennel seeds. 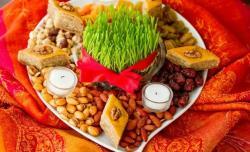 Although it is a holiday food, nowadays shor gogal is enjoyed all year round as well. Badambura is an unbelievably delicious treat you need to make this spring. This multilayered pastry is filled with almonds meal, sugar, and ground cardamom. The name "Badambura" means "almond pie". 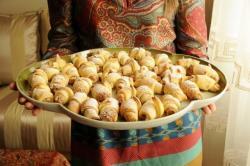 Mutaki are traditional Azerbaijani pastry scrolls, especially popular at Novruz holiday. The pastry takes its name from a traditional Azerbaijani bolster called “mütəkkə”. These walnut-filled cookies will melt in your mouth and are utterly delicious. With these irresistible pastry recipes, you can easily satisfy any sweet tooth.